temperatures that can affect your car. good shape whatever the weather! Checking the battery is especially important as electrical systems work harder in the winter. If your battery is coming up to five years old, now could be the time to replace it. Turning off electrical features in your car can help preserve energy and prolong the life of your battery. 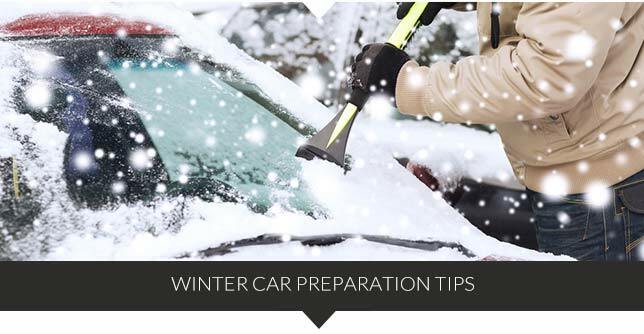 Before you set off each morning, you may need to clean the car of any snow, ice or leaves. Pay particular attention to your lights and windscreen wipers. Wet or icy roads can mean trouble, check your tyre tread is at the least 2mm deep, or switch to snow socks or tyres if the weather is particularly bad! Antifreeze is a must! A frozen radiator can cause overheating and ultimately a breakdown – make sure you top up and check this before each journey. Ensure that your screenwash remains topped up as your windscreen can quickly become dirty and difficult to see out of in winter. We all know how quickly the British weather can change, so it helps to check the weather forecast regularly and keep a supply of items such as a blanket, snow boots, mobile phone or a small snow shovel in your car in case of anemergency. Above all take great care when driving in winter, avoid driving in bad conditions and drive safely when you do venture outside. Hot temperatures can affect the road surface, meaning checking your tyres are a priority. Summer storms can make roads very hazardous so make sure the tread depth is at least 2mm. Overheating is the most common car failure in summer, this can be caused by poor airflow, or blocked air conditioning (caused by trapped debris) or insufficient coolant in your engine. Belts and hoses can suffer more in the hot summer weather, so check them for damage like cracking and swelling before the summer arrives. 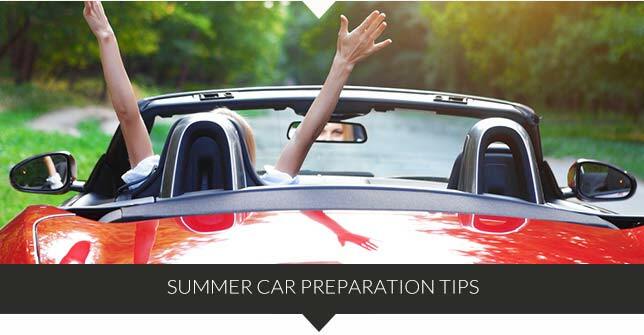 Make sure you drive safely throughout the year by always ensuring your car is in the best possible condition! Follow these tips and you will reduce your risk of things going wrong all year round.